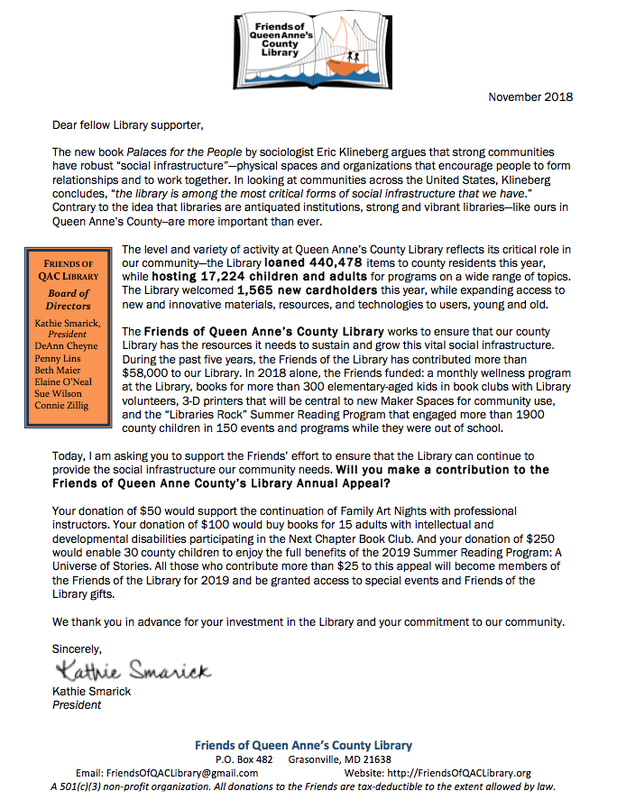 Checks should be made payable to Friends of QAC Library, and please include your full name, mailing address, and email address, so we can properly acknowledge your donation. If you are making a donation in someone’s honor or memory, please include a note with the name of whom are you honoring. Our standard donations are accepted through the PayPal Giving Fund, a no-fee 501(c)3. We ask for the address and/or email of the person you are donating on behalf of to inform them of the donation. Select to remove your name from the public list of donors to the Friends.